Superhero sunglasses for superhero fans! 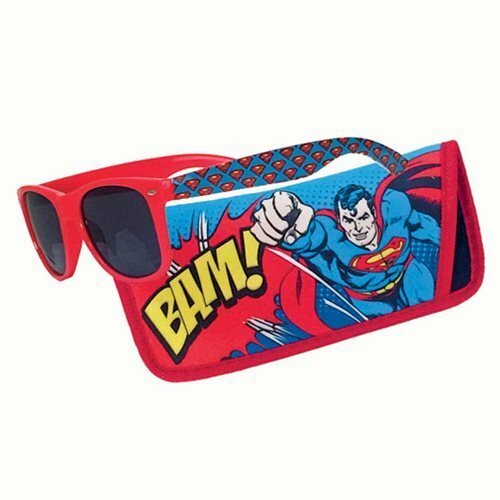 These awesome Superman Bam Sunglasses with Carry Case include sunglasses and a matching carrying case, both decked out in a Superman comic motif. The glasses boast a polycarbonate frame. Ages 15 and up.